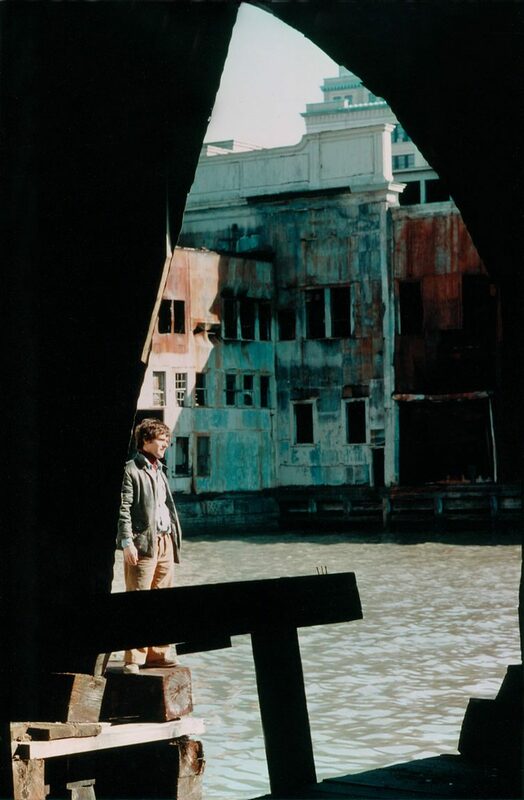 The docks of any city are generally shady places, and when that city is 1970s New York City, and the docks have been abandoned to an underclass of homeless, deviants and criminals… the mind boggles. The shipping industry for which New York City’s docks were built moved its base of operations to New Jersey in the ’60s; the oil crises of the late 1960s and ’70s were big factors in the dismantling of the docks. This migration created a vacuum, leaving a whole lot of industrial space on the outskirts of the city vacant – but not for long. Out of sight, out of mind to some extent, the docks became a hub for all sorts of other activities. 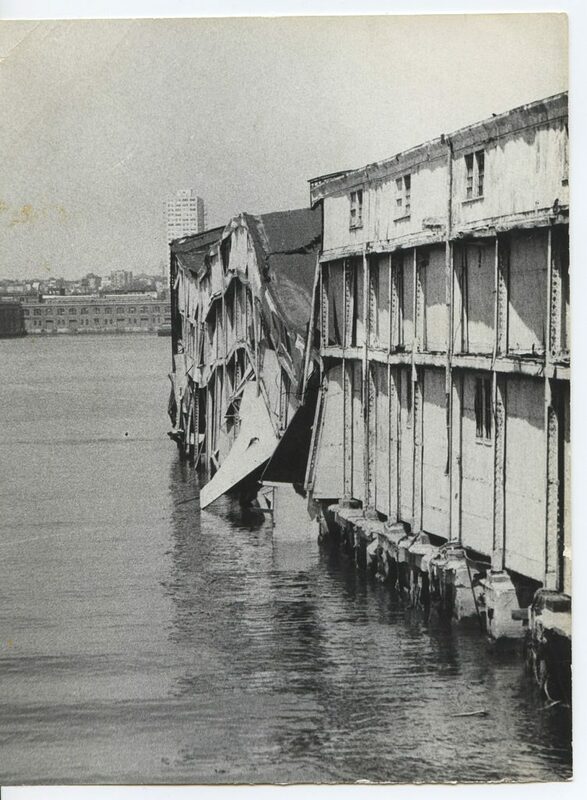 Gay cruisers, smugglers, prostitutes and drug dealers found its empty buildings ideal for their purposes, and they became a home of sorts for many sleeping rough. It probably goes without saying that, where society’s outcasts and their unseen sub-cultures went, artists were quick to follow. 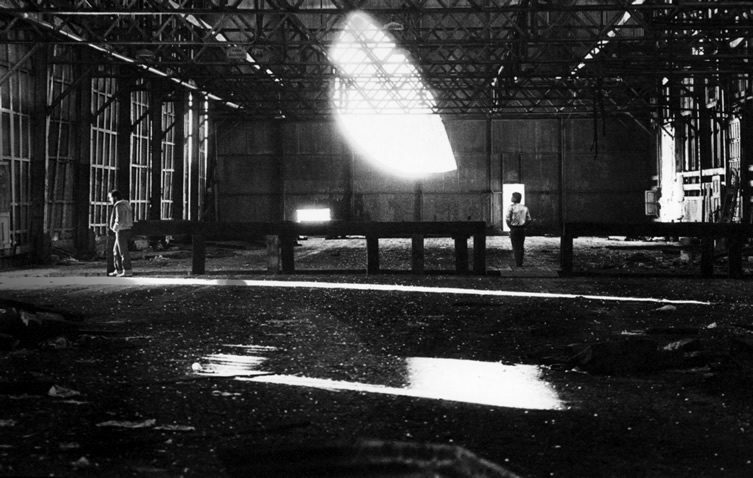 Among the most important were photographers Alvin Baltrop and Gordon Matta-Clark. 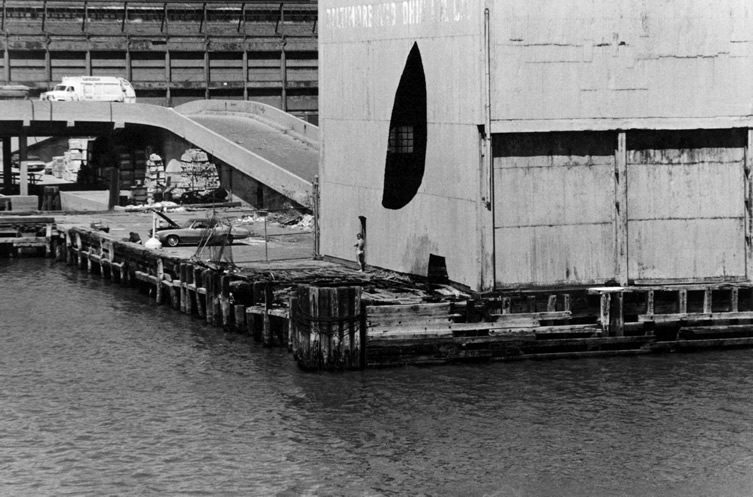 Vastly different in approach, the pair found themselves in the same time and place, and their contrasting but ultimately complimentary work is the subject of a retrospective, The Piers From Here, at Open Eye Gallery in Liverpool – a city with strong historical links with New York and not without its own share of docklands issues. 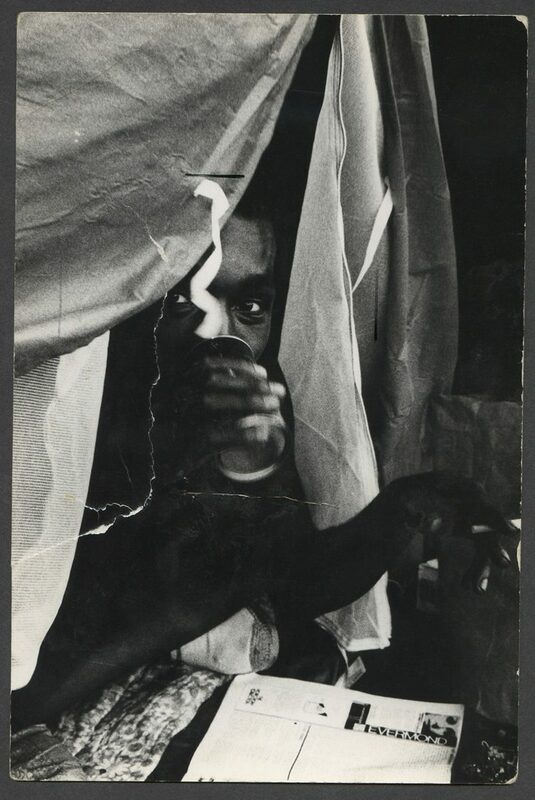 Baltrop threw himself into the communities that developed around the docks, befriending the characters and documenting with an unflinching eye the harsh and sometimes unpalatable realities of life there. Corpses and sunbathers, masochists and petty criminals – he documented it all, but central to his work was the docks themselves. 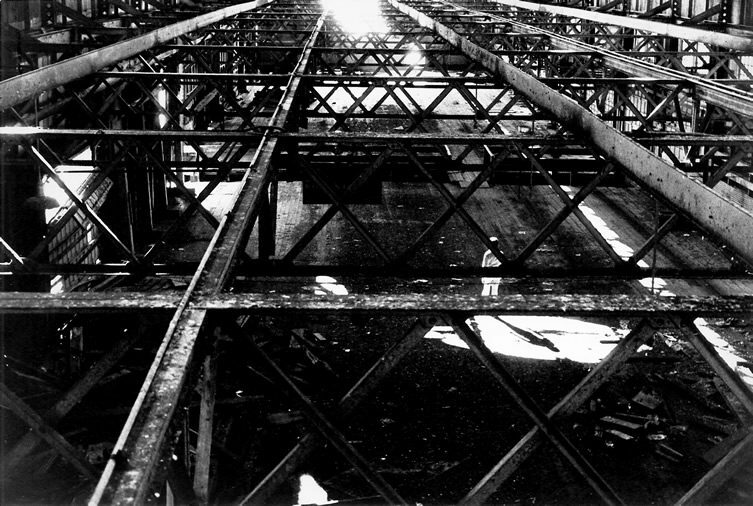 Matta-Clark was also deeply interested in the architectural aftermath of the “de-industrialization” of the docklands. 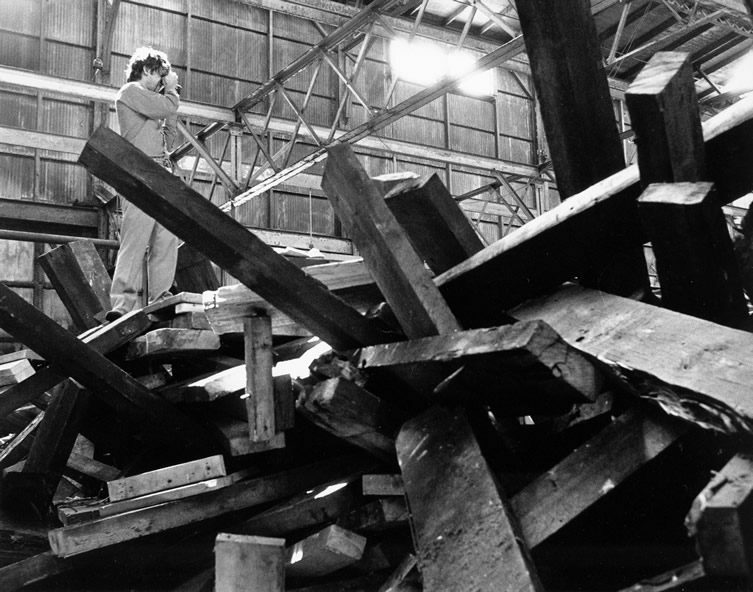 He saw art as a way to regeneration, and to this end, in 1975 he illegally took possession of Pier 52 with the aim of creating an arts centre there. A sculptor as well as a photographer, his most famous work Day’s End involved cutting a large section away from the side of the pier, letting in a stream of light reflected from the harbour water which changed character with the shifting angle of the sun during the day. 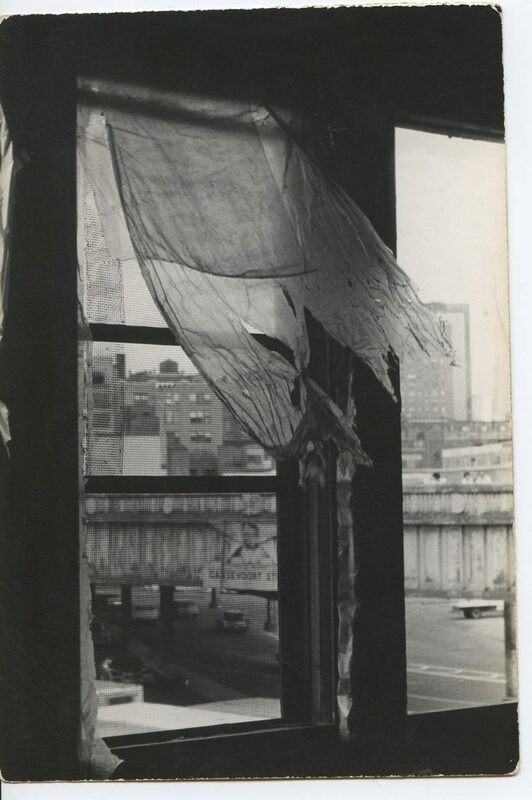 The effect can be seen in several images by both Matta-Clark and Baltrop, who documented the beginnings of what would become “anarchitecture” during the course of his photographic investigations. The absorbing exhibition at Open Eye Gallery on Liverpool’s waterfront ends on 9 February.